Terre à Terre is like the levade, a step between the schools on the ground (like piaffe, passage) and the school jumps (like courbette, capriole). In the medieval times, Terre à Terre was the gait of the fight, in which the horse was most maneuverable to go into charge. 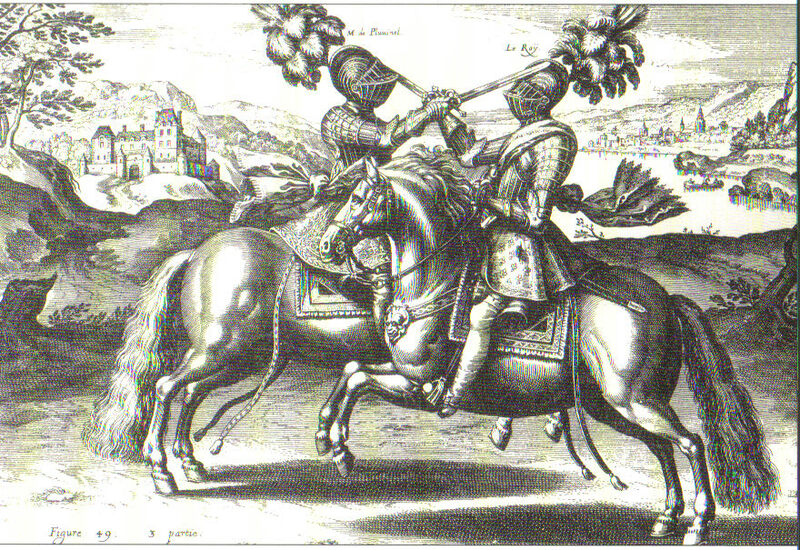 In Renaissance and Baroque times, the exercise was used to make the horse more maneuverable. In Terre à Terre, the horse is free to move into any direction the rider wishes, to attack or avoid the opponent. The horse moves like a boxer or tennis player who is also in motion before he makes an attack or returns a ball. The rider is so moveable in Terre à Terre that it almost seems as if the rider is moving on his own feet. This exercise is shown on many ancient paintings and many people believe that old painters did not know how a horse moved. But nothing is further from the truth. Nowadays, hardly anybody can ride this exercise, which makes the images in the pictures look strange to us. Terre à Terre was once the ultimate goal of the academic art of riding, because the horse was then ready to be used in armed battle. With increased maneuverability, the rider had better chances of surviving the battle. This gait is still sometimes used in bull fighting to outmaneuver the bull. The exercise is also used as a preparation to the capriole. According to the definition of the Duke of Newcastle (1592 – 1676), Terre àTerre is a two-boated canter on two tracks. The movement can be done in place, forwards, sideward, in a 180 degree turn and backwards. The horse can canter backwards using the backwards Terre à Terre. 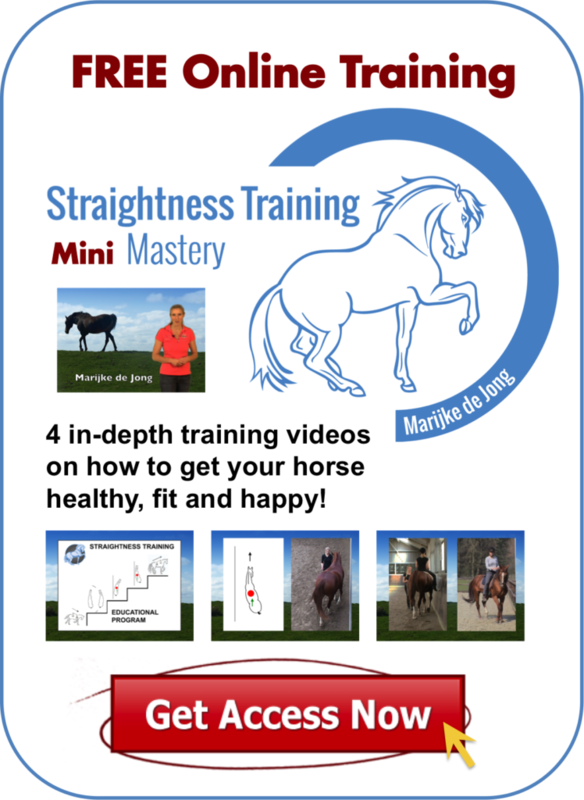 A horse must be extremely muscular and supple to be able to do this exercise. The horse must also have good coordination and have a powerful, supple hindquarter. By collecting and straightening out the horse in canter. By making a series of levades. The exercise can first be trained in hand and later under the rider. When the horse responds by accident the first time, the exercise should be stopped for that day ad the horse should be rewarded thoroughly. It takes a long time (several years) until the horse can perform a fluent Terre à Terre as a two-beated canter. 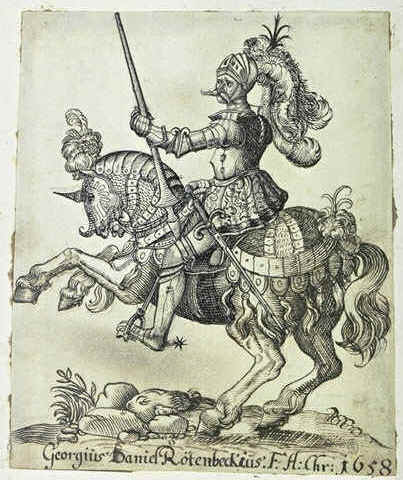 The rider rides this combat gait one-handed, holding the reins in the left hand. With the other hand he holds the whip (in the past he held his weapon). The rider first asks the horse into levade. Then the rider drives the hind legs forward in the moment the front legs are put down. To prevent the horse from raising in the front, the rider keeps his left hand as low as possible. An independent seat is a requirement not to lose balance during the short and fast jumps. A different two-beat canter is called the redopp. The front legs jump forward simultaneously, followed by a jump of both hind legs in a sideward movement. Many horses will lean towards a four-boated canter in Terre à Terre in place, thus creating the School canter. The carrière is an exercise looking like a Terre à Terre. Imagine how a racing horse comes out of the starting-box. The carrière was mainly used in man against man fights to attack the opponent. It was only when the horse pushed powerfully with the hind legs that the rider could attack, otherwise he would lose balance and fall off the horse. In ancient time, riders also practiced with rings. The ring was only valid when the rider had stuck his spear through the ring in the moment the horse had both hind legs on the ground.